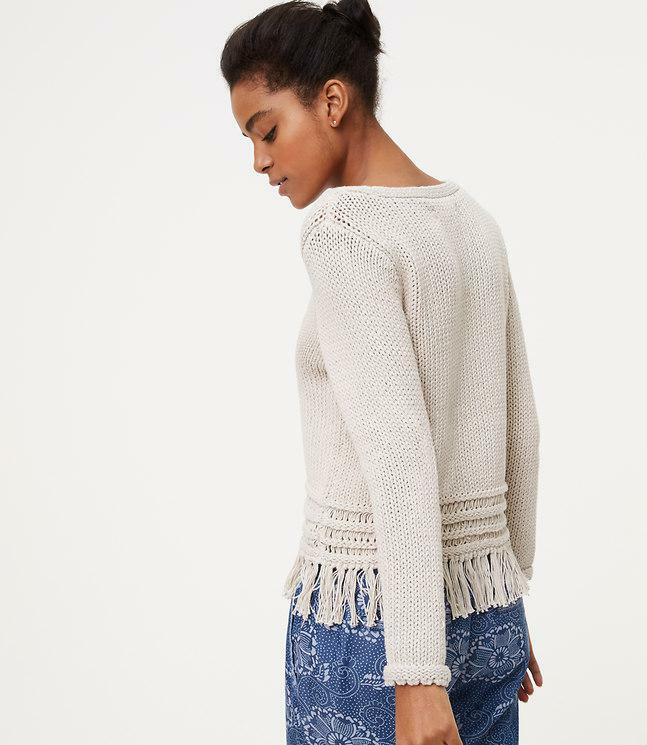 See more LOFT Sweaters and pullovers. 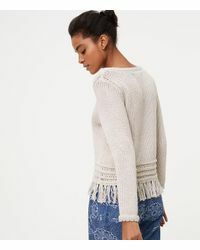 We check over 450 stores daily and we last saw this product for $73 at LOFT. 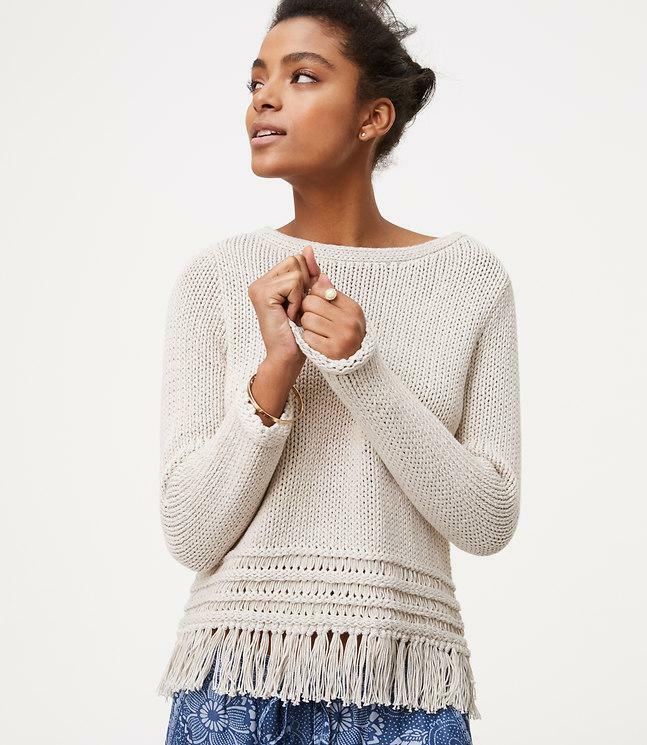 In pure cotton, this textured boho beauty is a staple that swings into the season - with the prettiest fringe hem. Round neck. Bracelet sleeves.